A lover of all things technology, Nayo lives by the motto “Dance like no one is watching”. This mother of one and proud dog owner is a resident of Baltimore, Md. – a city she’s lived in for more than half her life. 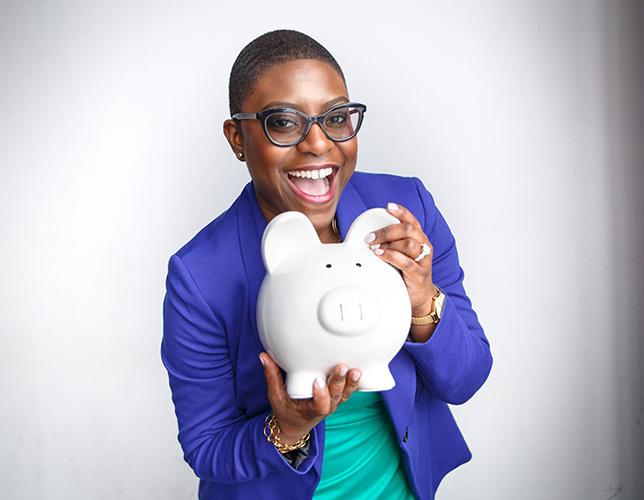 As a board member for several local and national organizations and through her financial seminar series, she strives to make her community better. A proud graduate of Coppin State College with a B.S. in Management Science and an M.B.A. from University of Baltimore, Nayo has garnered over 15 years of tax and accounting experience both in the public and private sector. She became a fan of accounting as a sophomore in high school. When her first summer job was over she discovered she could get back the tax money that was taken out of her pay check. She shared that information with her friends and schoolmates and a career began. To make things even more interesting, she was then placed in an accounting class as a junior by accident. Who knew this mistake by her counselor would lead to a life-long career with numbers that she truly enjoys and is inspired by everyday. Ms. Carter is a certified “techie” and wanted to help save her planet so she decided that a virtual paperless accounting practice would be the most efficient way, along with recycling. With this practice she gets to explore cloud-based solutions that make running a small business possible from anywhere you can connect to the internet. QuickBooks is her favorite accounting software for small businesses, but she will customize software packages to fit any company’s need. Currently, Nayo is preparing for the Certified Public Accountants exam, is a registered IRS tax preparer, a member of the American Institute of Certified Public Accountants, the National Association of Professional Women and a host of other organizations.